Mercedes enthusiast forum BenzBoost alleges Mercedes/European tuner Evosport owes hundreds of thousands of dollars in parts/services to customers and payments to vendors. The forum's posted documents supporting their claims and now Evosport is trying to shut BenzBoostUpdate. The story starts on April 4th when BenzBoost posted a long story alleging that members of the forum had been cheated by Evosport over parts and service. They highlight one member with a CLK63 Black Series who allegedly paid $30,000 for a supercharger kit only to have his car sit untouched while Evosport charged $20,000 to the owners insurance company for inflated front-end repairs. BenzBoost claimed the amount owed was hundreds of thousands of dollars and mentioned other companies (Powerchip included) that Evosport owed large sums to. They concluded people should wait to see if users get their money back before doing business with Evosport and speculated the money owed was due in part to the company moving into a new facility. So is this all incredibly shady? Yes. But why? Why would they do this? Well, Evosport has moved into a very large new facility and it would seem they are funding it with their customers money. Now you must be saying, how can they survive this? Well, we don't know if they will. JRCART stated that when he picked up all his parts from Evosport Brad looked like he was about to cry. He must know the jig is up. If Jim Brady gets tired of sitting around he will have to go the legal route to get his money back. JRCART (Jim) is already getting his insurance company involved. If Powerchip and others all try to get their money at the same time Evosport is going to be in some major trouble. Our advice? Until all debts are repaid, stay away. That is unless you like waiting forever for parts from a company on very shaky ground. The post caused a stir in the online Mercedes enthusiast community, though conversation is notably absent over at the MBWorld forum. Users at BenzBoost speculated this has to do with the fact that the forum was once owned by Evosport and the tuning/parts company still has administrative rights and removed any related threads. A search of the MBWorld site showed no posts mentioning BenzBoost after February 28th of this year. On April 11th, BenzBoost posted documents they said came from Evosport seeking investors for the company. And in the summary for their financial standing they show gross revenues dropped from a high of $2.2 million in 2007 to just $1.6 million in 2010. According to this document, they have $252K of "2011 back orders pending" and approximately "$300,000 of short-term debt." The specifics of whether the first sum is money expected or money owed is unclear, as is what that $300,000 in short term debt includes. Given the amount of product the company claims to ship it's not abnormal to see some debt on the balance sheet. They conclude their financial statement by saying "an outside infusion of investment capital will markedly increase the growth of Evosport's revenues, margins, pretax profit, and cash flow." Following this post the lawyers representing Evosport sent a letter to the owners of BenzBoost, obtained by Jalopnik, claiming the statements are false and amount to libel and requesting they take down the posts by April 13th. In their letter, Evosport's lawyer claims the site contains "blatantly false, disparaging information about Evosport and are intentionally designed to damage Evosport's relationships with vendors, customers, investors, and potential investors." The letter doesn't counter any of the claims, merely says they're false and asks for them to be removed. As of this morning, the posts are still up. We've reached out to Evosport's legal counsel but have yet to hear back. 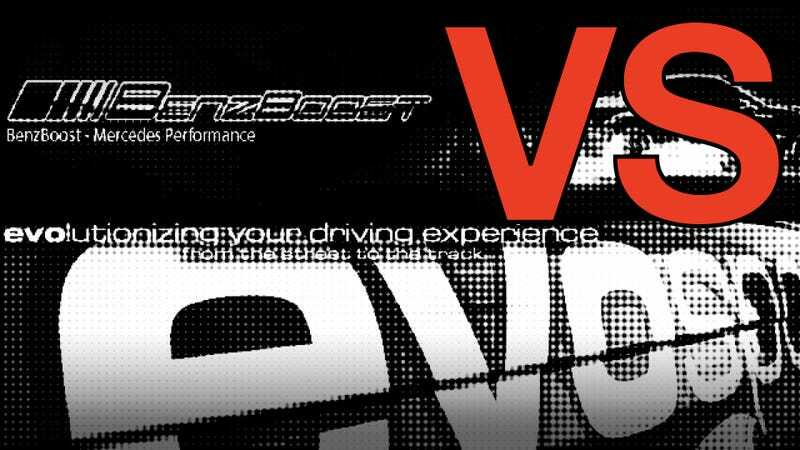 Update: We've been contacted by Evosport's counsel, Todd Serota, who says the company believes the claims are false and will pursue legal action against BenzBoost and its owner Joseph Wilk. "Mr. Wilke has published information about Evosport that is clearly false and Evosport has tried to resolve it the easy way by asking him to take it down. He has not. Evosport feels they have no choice because it is hurting them…"
Serota also said Mr. Wilk has a prior relationship with Evosport and "pretty much threatened" them while trying obtain something for the company. Nevertheless, Mr. Serota says "it has nothing to do with Mr. Wilk personally, he happened to be the one who did this."